US Siyin Baptist Church (USSBC), US Sizang Tuiphum Pawlpi kiphot ni April 24, 2011 in Rev. Kip Thian Pau, Rev. Dr. Thuam Cin Khai, Sayama Ngiak Ngo Neam le Sayama Awi Khawm Huai te sia minister team tu in kingen aa, April 24, 2011 ni-in kikip sak hi. 2011 July tha ni (10) ni Executive Committee kikhopna pan thukimna No. (10)na ah” Rev. Kip le Dr. Thuam te sia DCBC le ABC Ordained minister ah hong tepte sakna tu in nget tu kithukim hi” ci kikhen hi. 1973 kum January tha pan Falam khkua pan Co-operative department ah tum aa, 1994 kum ciang Topa deisakna taw Zomi Theological College pan in BRE nitaak sang ka in zo thei hi. 1994 March tha 14 ni in co-operative pan in a tawlngah ciang, Falam Baptist Association te in Cerhmun khua ah Pastor tu in se hi. Ahihang innkuan sung haksatna le dam ngawlna hang in Myanmar Baptist Convention (MBC, Yangon) zum Publication Department ah nasep kipan hi. Falam a om sungin Falam Baptist Church ah deacon kum sawm sung bang seam hi. 2001 ciang in MBC ah a nasep kawm in Yangon Siyin Baptist Church ah Associate pastor (part time) thua khawm hi. Siyin Region Baptist Association (SRBA) te in Falam Baptist Association (FBA) te ih Pastor hong laak ni pan kipan a service pe suak sakaa, SRBA in 2012 April tha pan pension pia hi. MBC a tum lai in Assistant director taw tum hikale Pathian thupha sang tato ahikom kum (2) zawk ciang Associate director seam aa, a pension laak hun in Director seam aa, kum (6) sung seam man hi. Topa lam hon sakna taw 2009 kum in MIT pan Master of Ministry (M.Min.) zo thei hi. 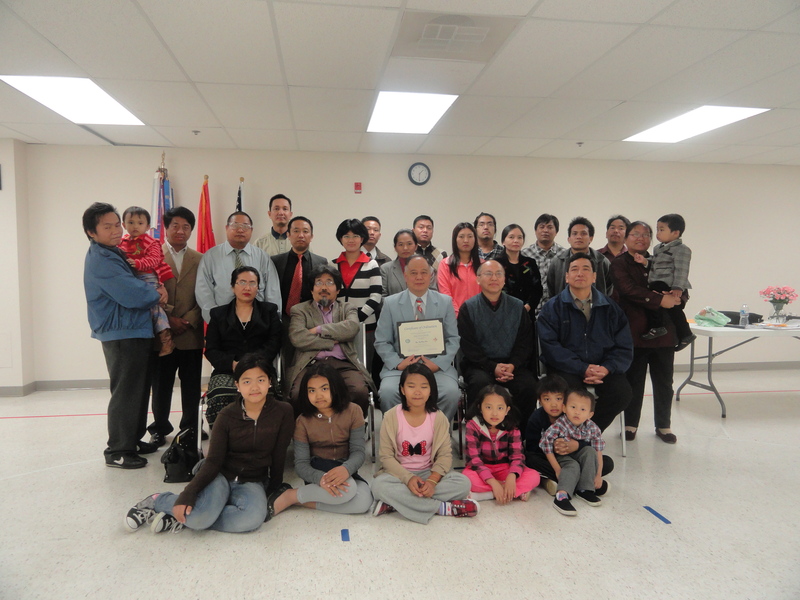 2011 February tha ni khat ni in US a tate omna Washington State Seattle ah azi Kai Cem taw hong theang aa, Washington DC huam ah US Siyin Baptist Church (USSBC) kiphot tu hun taw kiciam sa bang phet in hong kisi luilam hi. USSBC lampuite in SRBA Vice Chairman min taw pawlpi hon ni a tu in sam hi. Pawlpi hon tatak ciang Senior Pastor tu in hong sep sak tu in huu kingen aa, Pathian le Sizang mipuite hong itna taw hong saang hi. Ngup khiatna nga, tuhun pau in ci leang, a pianthak zawk ciang Lai Thiangtho saang Tedim ah hong kaa aa, a saang tuakpo ciangin Rev. E. Tun Khaw Lian, Rev. J. Pum Hau le Rev. Vungh Lian te ih vaihawm puina le thupha piakna taw Zomi Baptist Convention missionary tu in Asho Chin Buddhist te kawm, Pauk Khaung khuapi ah Topa Pathian ih Sawlpi nasep hong kipan aa, Siyin Region Baptist Association (SRBA) member a hi Voklak Tuiphum Pawlpi ih License Minister khat in 1997 pan kipan 1999 dong Asho Chin te sungah mission seam hi. Tua a mission nasep sungin Sai Pit Ein Asho Baptist Church kipat pui thei hi. Pathian thu kimpuina le ama hanciamna taw Philippine Baptist Theological Seminary, Baguio City, Philippines ah Master of Divinity kaa tu in admission hong nga ahikom Rev. Lam Cin Thang (Senior Pastor), Yangon Siyin Baptist Church (YSBC), Vanleang letmat leina tu sia Pa Lian Kam te nupa (Maryland) in sik a, visa tum natu a kisam teng sia YSBC Women le Youth Fellowship te in huu hon uh hi. Saang a kaa sungin a itt a zi Mang Lam Nuam le tanu Cing Khan Vung in mission sepna mun pan ngak kawm in Pre-school hong in mission nasep zom suak uh hi. Pathian thupha piakna taw South Korea ah Asian Center for Theological Studies and Mission, Asia United Theological University ah Third World Church Leader’s Full Scholarship taw Master of Arts in Theology a zaw zawk ciang American Baptist International Ministries Leadership Grant le Prospect Burma te ih Scholarship taw Central Philippine University, Iloilo City, Philippines ah Doctor of Education sin to suak aa, a saang kaa sung tawntung Voklak Tuiphum Pawlpi le Siyin Region Baptist Association te in hun bit Licensed Minister (1999-2007) khat in ciamte hi. Saang kaa tu teng le sin tu teng man in kawl ngam hong zot kik ciangin Rev. Lam Cin Thang ih ngetna taw All Nations Theological Seminary (ANTS) ah Interim Principal, Vice Principal le Academic Dean (2006-2008) seam hi. Topa Pathian thuthiamna le Myanmar Baptist Convention pan uliante (Dr. Thet Thet Myat San, Rev. Kip Thian Pau) le Siyin Region Baptist Association Oversea Council, Zomi Baptist Convention pan uliante ih panpui tekna taw All Nations Theological Seminary sia Association for Theological Education in Myanmar member khat in hong tepte sak aa, Myanmar Institute of Theology ih affiliated College khat tu in (2008) kum in khensat hi. Lai Thiangtho saangah seam ahikom 2008 kum cin ciangin Voklak Tuiphum Pawlpi pan in Yangon Siyin Baptist Church ah pawlpi mi in kikhin aa, 2008 kum cin pan kipan in YSBC ah Minister khat tu in kise hikale United States ah pai tu visa nga ahikom September 28, 2008 ni Yangon pan ding aa, Sizang Burmese Mission Church te ih Visiting Pastor le Interim Pastor in October 1, 2008 pan February 28, 2009 dong seam hi. Mission for Christ le Wesleyan te ih huu ngetna le Pathian sapna taw Burmese Bible School siapi tu in (March 1, 2009–) pan kipan Sizang Burmese Mission Church te ih interim Pastor hina pan in Missionary khat tu in Syracuse, NY ah kuan hi. Pathian zakna le Kawl ngam pan Refugees tam ma hong theng ahikom saang bek hi ngawl in pawlpi zong kipat pui tu kisam ahikom Lyncourt Wesleyan Church Burmese Service ci in Syracuse, NY ah kipan aa, tu in Matu Christian Church, Syracuse, NY; Zomi Christian Fellowship, Syracuse, NY; Myanmar Christian Fellowship, Milwaukee, WI, US Siyin Baptist Church, Washington, DC le Matu Christian Church, Buffalo, NY te ih pawlpi kipat tawm natu a kisamna mun po ah huu tu a kisam babang pan pui hi. Tua bek dom ngawl in Burmese Bible School zong mun (4) ah hong aa, saang patang vekpi (40) kiim bang dong khang to ahikom mission nasepna ah Pathian in hong zak sak hi. Tupna le sawmna sia Burmese Bible School Teaching-site mun 10 peuma nei zawk natu le saang patang (100) peuma 2015 kum bo ma nei zawk natu thungetna hong pan pui tek tavun. Thu khat pan Burmese Bible School le Davis College, Johnson City, NY sia affiliation vawt thei zo ahikom akuamatek atu in khuavak le pilna sin thei natu lampi kihong hi ci zong a lungdam huai mama thu khat ahi hi. Kawl ngam Licensed Minister taw America ah theng phot aa, Pathian in a tang zai zaw le a muibun zaw in zangh nuam ahikom 2009 kum in Siyin Region Baptist Association te Minister hina sia Sizang Burmese Mission Church te thu thiamna taw transfer tu in nget sak hikale Central New York District of Wesleyan Church te taw Burmese Bible School naseam khawm ahikom The Wesleyan Church te in Licensed Minister hong piak sak phot hi. Ordination Course pawl khat a phualpi ah kaa sak aa, kum khat in (2) vei bang Wesleyan te in upna le zui dan taw kisai teng a tal ngingei zawk ciang September 9, 2010 ni in Wesleyan bup thu kimna taw Wesleyan te tangthu sung a om ngei ngawl lai ahi kawl ngam mi (2) sia tua ni in ordination hong pia hi. Tua ordination piak ni in Rev. Dr. Sing Za Khai le Rev. Dr. Cin Za Mang in uap thei hi. American Baptist le Southern Baptist taw nasep khopna hong tam vaial ahikom, US Siyin Baptist Church thuthiamna le DC Baptist Convention le American Baptist Churches-USA te ih Advisory Committee on Ordination te thu kim puina taw September 15, 2011 ni in interviewna a nei zawk ciang American Baptist Churches-USA te in Ordination kip (recognize) sak hi. Tu in a inn kuan bup in Syracuse, NY ah mission naseam in om lai aa, tanu 4 le tapa khat nei hi. US Siyin Baptist Church Executive Committee thu khensatna om bang in ABC le SBC te taw a kipawl khopna District of Columbia Baptist Convention (DCBC) ah ordained minister hong recognize natu in ngetna kinei aa, ih ngetna bang in 2011 September tha 15 ni in interview tu in hong sam pai hi. Interview vawt ma tha khat sap in DC Baptist Convention Advisory Committee on Ordination te in a kisam tu document teng (1) Laithiangtho saang onna certificate (2) Eima ngam pan ordination ngana certificate or denomination dang pan ordination certificate, (3) Ih kihel ngeina Association te ii Pathian naseam tatak hi ci aa lungkim puina (SRBA) le (4) Christian experience laimai 15 hong nget teng piak kul hi. Ahizong kithu zakna haksatna tatuam taw 15th September ni in Rev. Kip Thian Pau sia MIT pan, M.Min. a onna certificate tawm a laplak hu in a hun hong khangkhan to sak aa, Dr. Thuam sia tua ni (09/15/2011) in DC Baptist Convention Advisory Committee on Ordination te in thudokna a nei zawk ciang lungkim ahikom kipsakna hong nei sak pai uh hi. (Rev. Dr. Thuam sia The Wesleyan Church te ih September 9, 2010 aa Ordination piak sa sia kip sakna ahi hi). Baptist upna le kalsuan dan a hi Baptist Distinctives bang ah ngamta in naseam ziam/seam ngawl ziam? Baptist te ih saang le accredited seminary (e.g. Association of Theological Schools in USA and Canada (ATS); Association for Theological Education Southeast Asia (ATESEA); Board of Theological Education of the Senate of Serampore College (BTESSC) pan entry level Master of Divinity (preferred), or Master ong ziam/ong ngawl ziam? 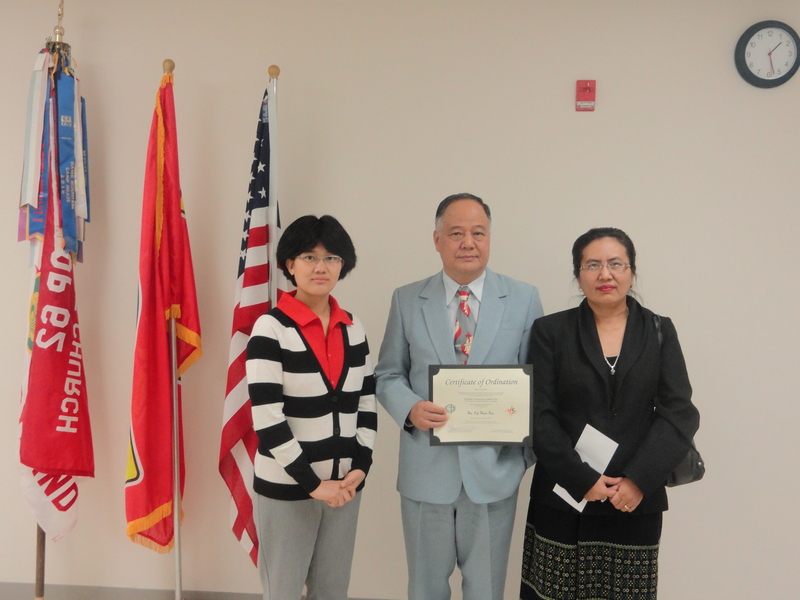 DC Baptist Convention affiliated to American Baptist Churches-USA ih member pawlpi khat taw a kizom nasepna (e.g. seminary, university, hospital, army, and etc…) ah pan mun nei aa na seam tatak ziam/seam ngawl ziam? Ordinance ci aa, Tuiphum te ih zek sa ah ih nei Tui kiphumna le Topa zaan an neakna taw kizui, ngaisutna bangbang nei ziam? Master degree khat sasaang zo hamtang tu dei. (Service sia hong dong ngawl zaw bilbel aa Master degree hi ta, accredited degree sia thupi sak tuak peu ma. Note:- DCBC ih a kip sak sate sia a kizop pui ABC, BWA le SBC te zong na a kip sak sa suak hi.